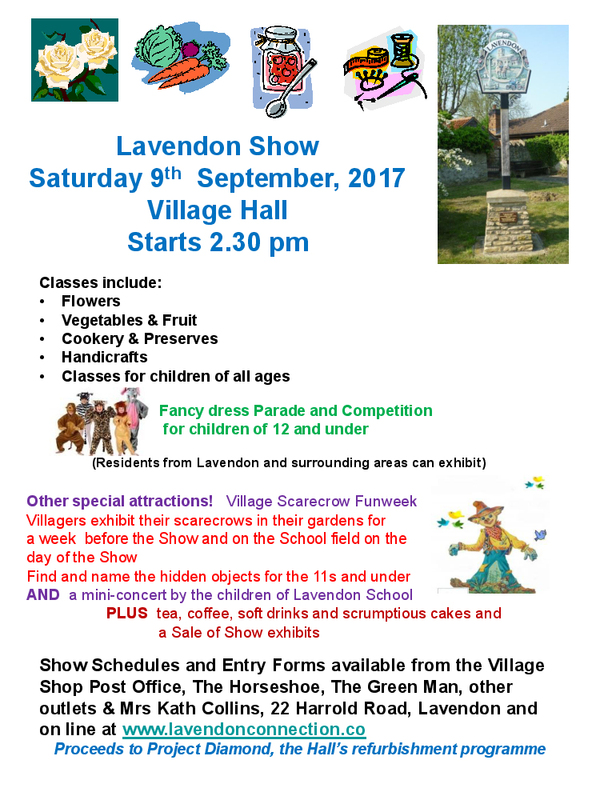 Entry Forms for the Lavendon Show are now available in the Village Shop and other local outlets. Alternatively click here for the Lavendon Show page where you can also download the Entry Form and Schedule. Posted on Saturday, 22 July 2017 by Editor •	This entry was tagged Events, Lavendon Show, Scarecrows. Bookmark the permalink.